This book is part of a series of biographies of major scholars of fiqh and hadeeth from amongst the Muslim Ummah, which Allah has granted glory and an exalted status until the Day of Judgment. Focus is put on both general and particular aspects of these scholars' lives, including their qualities, character, etiquette, their practice of their religion and their worship of Allah. What a need there is, particularly in this age, of such examples, for this Ummah will not have its dignity and glory restored to it until it returns to the qualities possessed by its early members and revives those traits of theirs which have passed into oblivion. One of the blessings of Allah upon this Ummah is that He appointed for it people who would undertake to preserve the Sunnah of their Prophet (S). They were the scholars who devoted their entire lives to this monumental task, foregoing physical pleasures and taking delight, instead, in spending the nights recording hadeeths and in undergoing hardships in order to convey even one hadeeth from the Prophet (S). 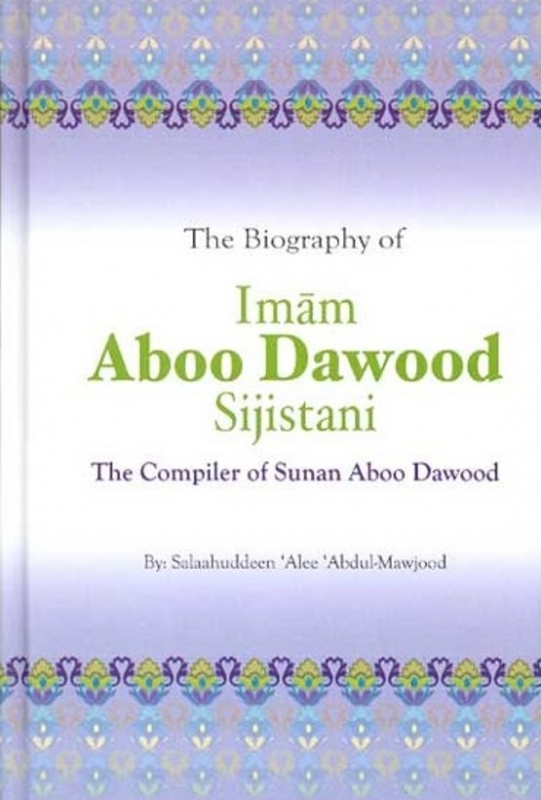 One of those eminent scholars is the subject of this biography: Aboo Dawood Sijistani.